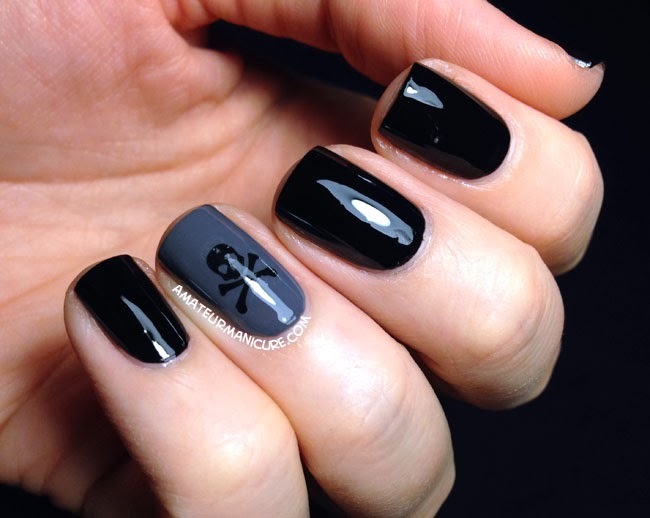 I was in a bit of a mood when I did this manicure—a cranky mood, as you can probably guess from the motif! But in spite of that, I really like how this turned out. I wear black and grey at work almost exclusively, so this matched with my daily attire really well. 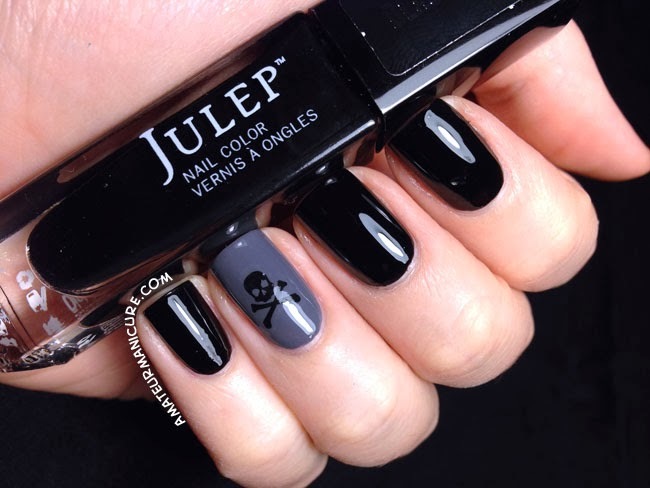 The black is Julep Cleopatra, which has a very cool latex finish before you apply the topcoat—I definitely plan on wearing it without at some point. (It's super gorgeous with the topcoat, too, however!) The grey on my ring finger is FNUG Flat Boots, and it's topped with a nail tattoo from the Big Ruby His collection. If I could go back in time, I would probably put the skull and crossbones on facing the other way: they were right-side-up for me, but upside-down in all the pictures! But other than that, this is a very "me" mani and it actually ended up improving my bad mood. Go figure!